Segment Start with Ishqbaaz’s New Story where Anika is not Married to Shivaay and She is Living with her Younger Sister Gauri along with their Chachi who is in Negative Role. Gauri is in Modern Avatar and She Knows How to Talk In English too. Scene Start from the Kitchen Where Anika Is Making Pakoda for Gauri who Loves Pakoda She comes and Takes Pakoda’s Plate and Start Eating. She Praises her Sister that You are the Best Anika Hugs her Just then Chachi comes and Start Taunting Anika That What is Going On here You Waste All Besan in Pakoda for your Sister. Gauri Makes her Fun That Your Tounge is spicier then Pakoda Chachi Taunts Anika more and Gauri gets Angry She Stands In front of Anika and Argues with Chachi. Chachi Sees That She can’t defeat Gauri So She Leaves from there. Gauri is in Dabang Avatar and Anika is In Simple Girl Not Khiditod Anika. Another Scene Where Anika is Making again Something In Kitchen and this time Gauri her Guard is not with her Chachi Gets Opportunity to Taunt her. 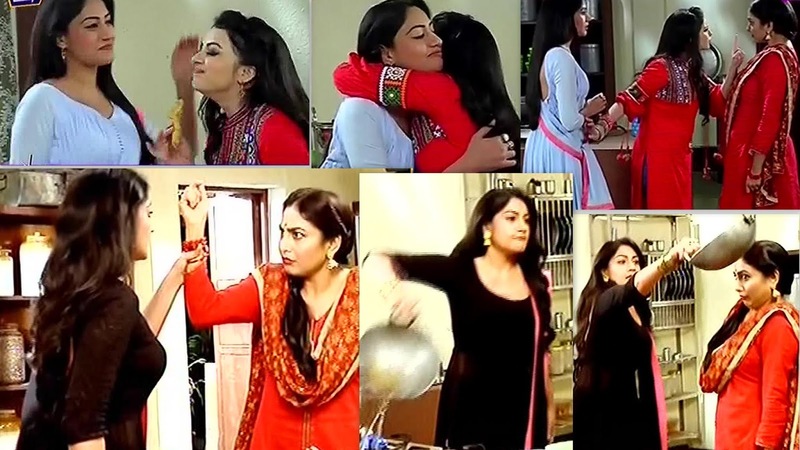 She comes to Anika and Taunts About her Mother that She was Mistress Anika who is Listing Her Taunts Before Calmly Suddenly gets Furious and She takes Oil and Throws In front of Chachi.